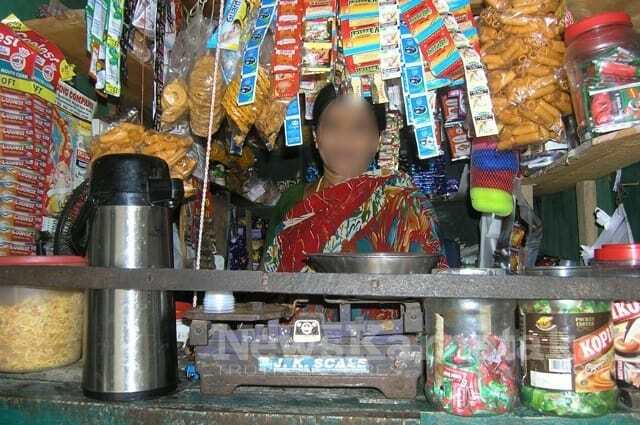 Four children in the age-group of 15-20, a mentally challenged husband and managing a shop from 6am to 9pm, 24X7. You will have a nervous breakdown in less than a week, if you were in my place. But my in-laws and relatives say I am having it easy, sitting all day long at the shop idly. Pests! Ghayal ki gati ghayal jaane… (Wearer knows how the shoe pinches). My hardships began some two years ago, when my husband began to behave abnormally and was unable to cope up with daily routine. We took him to a hospital and he was diagnosed with a mental disorder; I can’t even pronounce what got him. His employer was the first one to throw up his arms. Our extended family, comprising 26 members under one roof, was the next to back out. I sensed that my in-laws wanted to push me out of the house. Where could I go with my children and an unwell husband? I held on, and with some help from my brothers, turned one of our rooms on the ground floor into a kirana (household items) shop. That took care of our bare minimum financial needs but the mental stress and harassment never subsided. The first part was pesky customers who would idly chat me up with false sympathy and free advice. Some of them would also use innuendos that were hard to bear. There would be routine assurances such as ‘You know I care for you’ or ‘You can always depend me’, ‘Remember, I am always there’. I suspect men of all age get some kind of gratification in all this. It tickles their ego to hear a woman seek help. I am not the one, but I had to put up with those overbearing men as they were regular customers. These are the costs you have to pay to run a small business. The harsher part of the harassment was my own family members calling me a ‘bazaaru aurat’ (woman of easy virtue) just because I manage the shop on my own. This patriarchal society knows if you want to hurt a woman, strike at her honour. Shame her. I felt hurt at such insults but told myself that I will never let these ill-wishers get the better of me. I shared this with my daughters too so that they know how to fight back in this unjust society. I knew my in-laws would not stop at just verbal insults. And they didn’t. My family was barred from using the common family washrooms. I had to create a makeshift restroom with a cloth-sheet in place of the door. I dread each time I have to relieve myself. I feel many pair of eyes following me into it. I am even more worried about my daughters, but I am not going to give up. In these last two years of my struggle, I have been through patronising men with a roving eye, verbal harassment questioning my morality, and attempts to shame me into submission. But my children are the source of my strength all along. For their future, I shall fight to the bitter end with my back to the wall.